Combination of on-premises and cloud services works great if you are invested in Oracle’s cloud. Oracle hybrid cloud- I’m beginning to understand why Thomas Kurian left Oracle to try and right the foundering ship that is Google Cloud Platform. He reportedly butted heads with the boss (that would be Larry Ellison) over a desire to make Oracle products more readily available on competitive cloud platforms, and this announcement reflects that. It’s a nice bit of news if you are an Oracle customer, but not if you use a competitive product.Last week at KubeCon, the company announced the Oracle Cloud Native Framework, which is designed for organizations looking to build hybrid cloud architectures across both public cloud and on-premises infrastructure. It’s something all of the competition is doing, of course. Oracle’s efforts are best compared to Microsoft and IBM, since they also had legacy systems and customers to move to the cloud as well. In that regard, Oracle is doing a really good job at vendor lock-in. 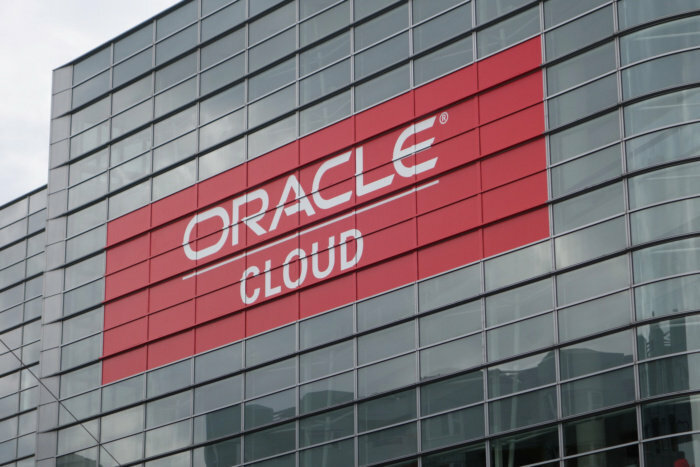 The public cloud part of Oracle Cloud Native Framework connects to Oracle Cloud Infrastructure, Oracle’s basic IaaS platform that allows organizations to build and run applications in Oracle’s cloud data centers. For the on-premises side, Oracle Cloud Native Framework uses Oracle Linux Cloud Native Environment, which is built on Oracle Linux. Oracle Linux is basically Red Hat Enterprise Linux, modified by Oracle. It was originally marketed under the name Unbreakable Linux and was modified with no involvement by Red Hat. Oracle may have modified the kernel to improve security, but it poisoned the well with the open source community forever. The company gets no credit for the good things it has done, like greatly enhancing MySQL and turning over Java EE to a standards body. In some ways, it has replaced Microsoft as the open source community’s boogey man. Getting back to the news … the Oracle Cloud Native Framework is built using standards developed by the Cloud Native Computing Foundation (CNCF), which all of the cloud computing vendors use. This includes Oracle Functions, a new serverless cloud service built on the open source Fn Project, Resource Manager for provisioning Oracle Cloud Infrastructure resources and services, and Monitoring, Notification Service, and Events services for monitoring and analysis of Oracle Cloud Infrastructure. CNCF also develops the Kubernetes container orchestration spec, and Oracle introduced six new cloud-native Kubernetes services, including resource management, monitoring, notifications and streaming. It’s a good solution if you are an Oracle customer. The problem for Oracle is there aren’t that many of them. Synergy Research, which really keeps an eye on the cloud market, doesn’t even break Oracle out into its own category. The company did have a better-than-anticipated quarter, but most of that came from on-premises software sales, particularly ERP sales. Oracle’s strategy has been Oracle products on Oracle cloud only. That’s why Kurian left. Meanwhile, you can get DB2 and SQL Server on AWS if you wish. The results speak for themselves. Study after study show customers want to avoid vendor lock-in, which is precisely what Oracle is trying to do. They need to rethink that strategy.